We drove for a long time this day looking for a wildflower field to shoot at sunset. 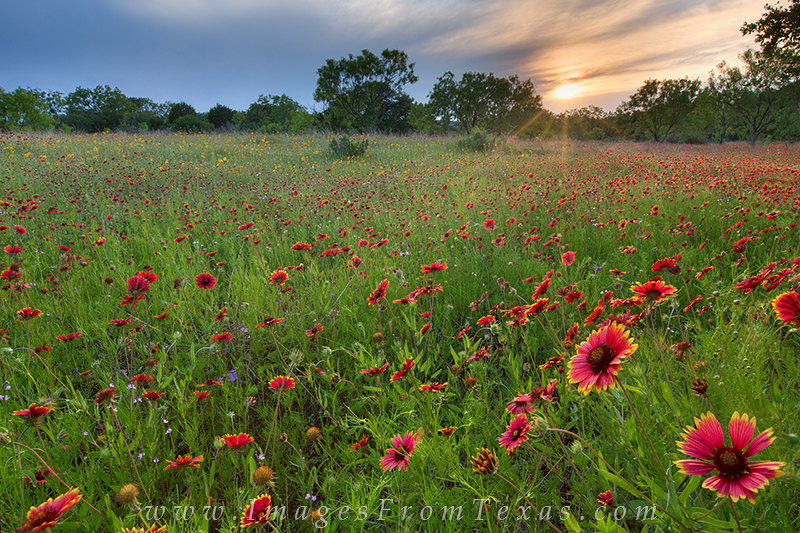 This Texas wildflower image comes from Llano county and is composed mainly of firewheels and greenthread. The sun was setting in a haze of clouds. Little did we know a few minutes later the sky would light up with orange and purples. In the meantime, I took the opportunity to shoot these Texas wildflowers in the Texas Hill Country as the sun setting through the low thin layers of clouds. Photo © copyright by Rob Greebon.